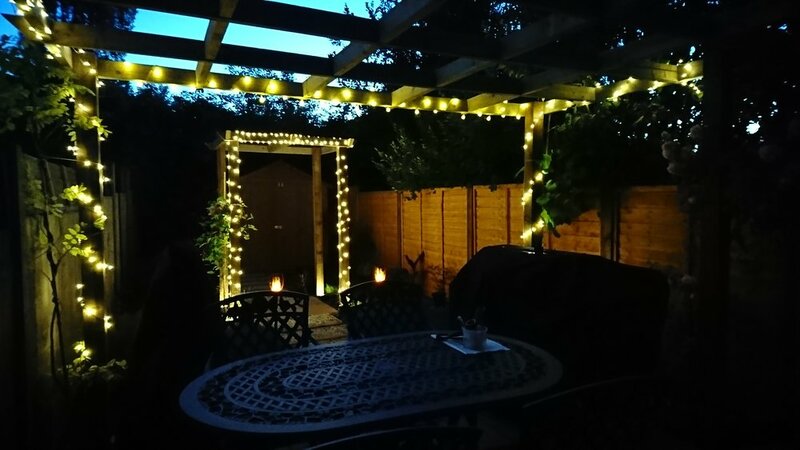 Here’s a great video sent in from a customer showing the transformation of his back garden - thank you for taking the time to put this together David! "Phil & Dan did a fantastic job. Turned up when they said they would, back on time every day, keep me up to date with texts and locked up after themselves. 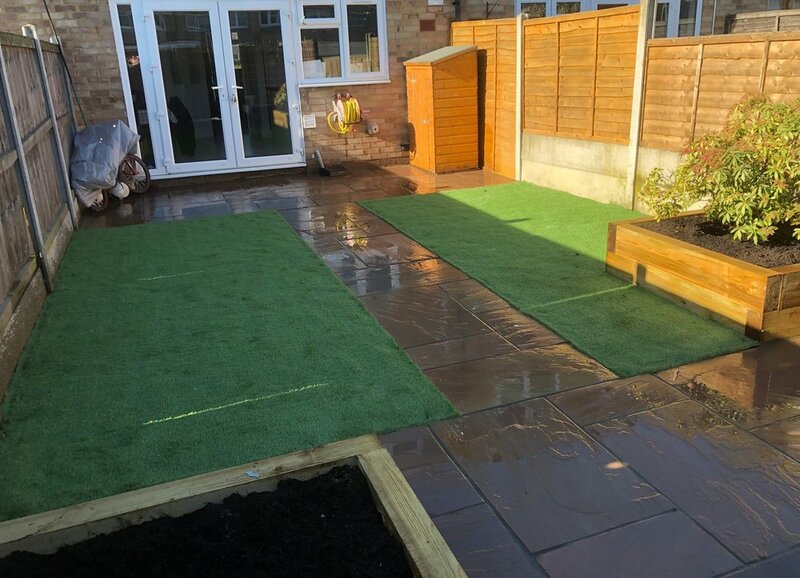 Job was done quick and very well and tidied up as went along - Cleared and paved whole garden, looks lovely - will use again and would recommend." "If you want a great job done don't bother with the others "THIS IS THE MAN FOR YOU". Philip Holmes of Holmes and Gardens went above and beyond any workman I have ever hired so far. He created a masterpiece. My garden was transformed from an untidy mess to an amazing space and he and his team worked in stifling conditions in a very happy cheery manner and I could not have been luckier in finding him. Thanks for a superb job brilliantly done. Can't thank you enough." “Having decided long and hard on what we wanted to do for the garden we ended up having 3 quotes from some of the best rated landscape gardeners. Philip Holmes of Holmes and Gardens was one of them and upon first impressions I felt he understood what we were after and the budget we were confined to. "Fantastic job done by Philip and the guys. Really friendly guys. Really clean and tidy. Happy to give extra advice about the work they were doing and on future maintenance of the decking they were installing. Really pleased with the finished item, will definitely use again for any other work needed :)"
"The job had to be rescheduled due to bad weather but once okay, Phil and Dan got on with it. They went above and beyond and even helped me to trim a very tall and thorny bush. I will definitely use them again and have already recommended Phil to my friends. Very professional, tidy, punctual, trustworthy with reasonable pricing too. Thank you Holmes and Gardens." "Great work. Requested a quote, selected Phil and the job was completed, all within a week! Fence is looking good and withstood the gales last week! Would recommend." "I am extremely happy with my new garden, Phil worked hard and was able to give me lot of ideas. He was very understanding even when I continued to add additional work for him to complete. I would definitely recommend him. Thanks Phil "
"Phil and his colleague Dan transformed my garden from a wasteland into something I can be proud of. They installed a large deck, new paving, and a shed. Phil emailed me with pictures of materials before the job started, and made suggestions, such as integral lights for the deck, along the way. Any problems that arose were dealt with professionally, and with a minimum of fuss. They worked in all weathers, and were very polite. They cleaned up and tidied everything away before they left, and I have no hesitation in recommending Holmes & Gardens to anyone needing work done in their garden." "Philip and his team carried out a fantastic job giving life back to my garden. Was very polite, professional and sufficient and would definitely recommend." "Phil was brilliant - helpful from start to finish and very hard working. High standards of work and competitive prices. Delighted with my contemporary garden. Highly recommended." "What a transformation! Phil and his team have turned my father's barren, weed-infested garden patch into a bright, low maintenance outdoor area that will be a pleasure to sit in for years to come." "I hired Philip Holmes to erect some fencing and do some pruning. He is an extremely hard working guy who completed the job. He arrived on time and worked through extreme weather conditions without any problem. The garden was left tidy and looking amazing. I would not hesitate in recommending him to anyone and in fact he is coming back to do another job for us. Thanks Phil and your team." "I can say the job Phil done for us was 1st class, exactly what we wanted and it has meant we have gone from using our garden 10% of the time to 90% of the time. I can highly recommend you give Phil a call I promise you will not be disappointed." The testimonial below was written by one of our customers as an entry into the MyBuilder 'Job of the Year' competition! I'm very pleased that the customer was so happy with the service that they nominated us :) Thank you Stefany. "The small job we needed doing wasn't of interest to most tradesmen due to the short time it would take them; most wanted a whole day rate for the work to make it worth their time, when the job would only take a few hours. Not only did Phil come straight out to take a look, but he was very empathetic to the reason for the job and sympathetic to our budget. Phil contacted us the night before to confirm exactly what he would do, reconfirmed the cost and agreed a start time. Phil arrived early, was consultative & courteous throughout, left the area clean and tidy (we have no parking at the front of our house and he didn't cause one single obstruction throughout) then went above and beyond by throwing in some extras at the end to make it look fantastic - all for a reasonable cost to us compared with several other tradesmen. Our neighbours have subsequently hired Phil for a job and we will also be booking several jobs going forward, the first to be a decked patio this spring (we'll use our winnings to pay for it lol!). Very good tradesman - you get exactly what you asked for and he's a thoroughly decent guy too. He absolutely deserves to win this competition as there aren't many like Phil left!" "We HIGHLY recommend Philip and his company. He transformed our unused garden to a beautiful one. He approached the job in a very professional manner from start to finish and he was always ready to answer any questions. Philip had a positive attitude always and gave us hope of transforming our small garden into a space we could enjoy. Philip worked to plan and we knew exactly what tasks were expected of the job each day as he explained to us every step. It was a very difficult job redoing my garden but done to a very high standard of work and we couldn't ask for more. Don't hesitate to hire him as Philip and his team will exceed your expectations." "Brilliant job, tidy & clean and did exactly what we'd asked for and a little bit more. Finally feel we have the security we needed in the front of the house. Definitely recommend Phil." An amazing, friendly, and dedicated team, which has the customer's satisfaction to the fore at all times. "Philip has done an excellent job at laying the patio and was completed to a high standard. Also gave ideas for other parts of the garden and will certainly use again and would recommend to others." "Philip and his colleague undertook an excellent job on our fencing. It was a large job - redoing fencing of about 25 panels plus concrete posts and gravel boards. Because he did such a good job we asked him also to build a small brick retaining wall for our vegetable patch. This was completed also to a very high standard. Would definitely recommend." "A true professional, well organised and as a trade person myself they work tidy and precise. They have the tools and knowledge of any good professional building company, and the quote was very well put across I am more than pleased to be recommending this company." "Very knowledgeable and communicative. Did all that they said they would, in the agreed time frame for the agreed price. A very good job! Would recommend without hesitation." "We have contracted Phil to complete a number of jobs for us after he came highly recommended. Initially he was required to 'renovate' our front driveway from tarmac to paving and to turn our grass lawn into shingle. During this job, we were away on holiday for 2 weeks and we trusted Phil and his team to get on with it while we were away. He was efficient in sending picture updates by email and kept in touch with issues that he felt needed our attention. When we arrived home, the driveway looked neat and clean and made a wonderful difference to the appearance of are home. We then asked Phil the landscape parts of our small garden. This included pulling down a shed, installing raised beds for vegetable plots, erecting and fitting a rose archway, preparing concrete bases for sheds and storage areas and creating a small, barked, play area for two children. Overall Phil has been very good to work with, reasonably priced and communicative during works to be done. We highly recommend him for any landscaping opportunities." "These guys are very genuine and down to earth people. Very easy to contact and communicate with all times. They would always discuss in layman's terms what work they were doing or how they were going to complete a job. They were prompt and would always inform what time they were to be on site. The workmanship was always to a high standard. In the planning stage I was offered lots of alternatives and different ideas at different stages of the job. The knowledge of their trade and methods of workmanship were to a very high standard. To sum up, I will be using this company again for future work and would be happy to recommend or show the work that they have done. I can't fault their work and I am a very happy customer. P.S. Word of advice they do like lots of tea!!!" "The design for my garden was beyond expectation and we were very pleased with the finished result."